Organization head must agree that the balls remain on campus for the children's use. Balls are NEVER to be sold. 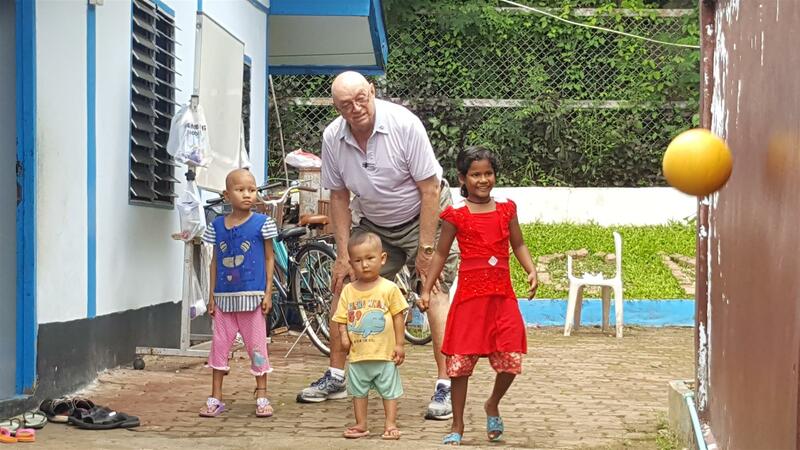 The Burma Children’s Medical Fund Patient House in Chiang Mai provides lodging for children who have medical issues so serious that treatment is beyond the capability of the Mae Tao Clinic or the Mae Sot Hospital. These children are transported to Chiang Mai where they are administered to by the Suan Dok, Chiang Mai University, hospital. The children stay at the house while they are in Chiang Mai. One of the children in the photo above is undergoing chemo-therapy, one suffering from crippling burns and one has a badly damaged hip. Our Children’s Sight Program provides examinations, spectacles and referrals to children from poor rural schools. 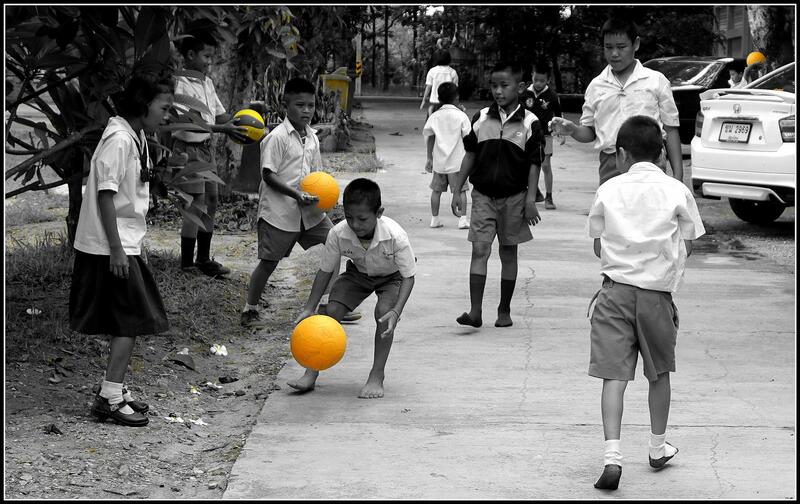 By providing balls to these schools we add value to the Children’s Sight Program. The children are always delighted and the staff is always most appreciative of our additional support. Our Children’s Water Safety (Drown Proofing) program teaches children water survival skills. 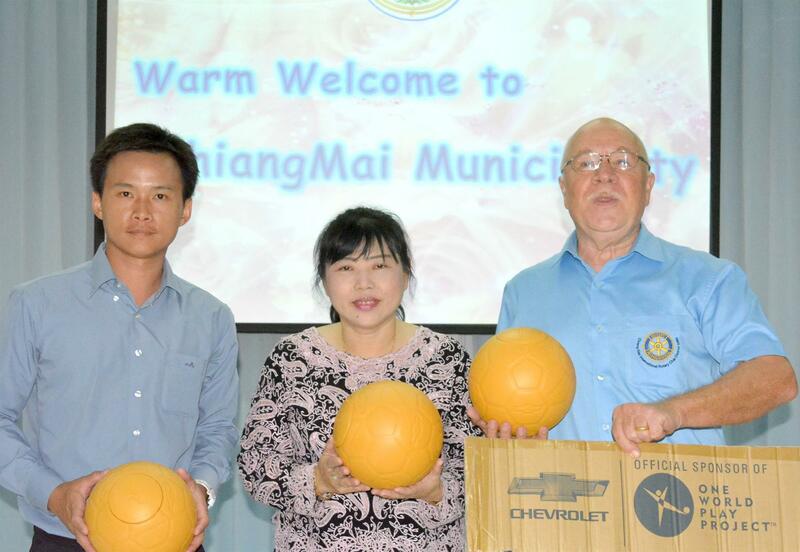 We also provide OWPP balls to the schools whose children participate. 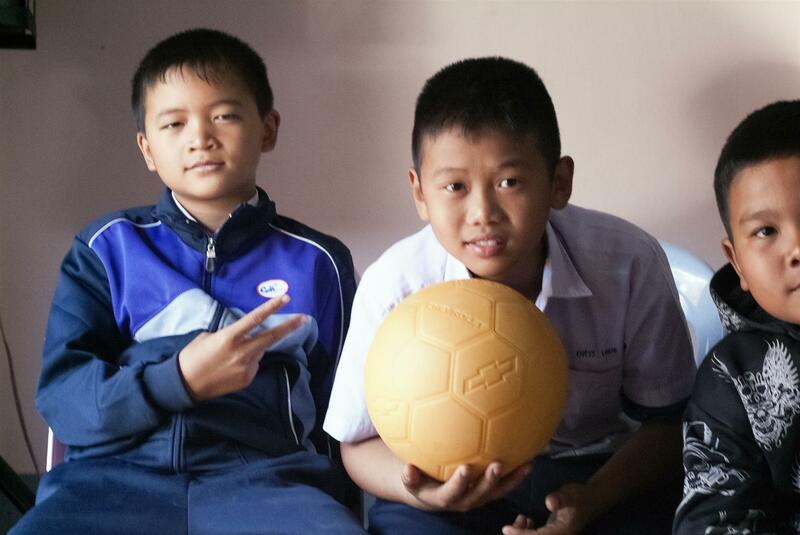 The children are very happy to have balls that are durable and the staff sees the positive affect we are making on the lives of the children they serve. Balls being presented at a Water Safety Program Graduation. 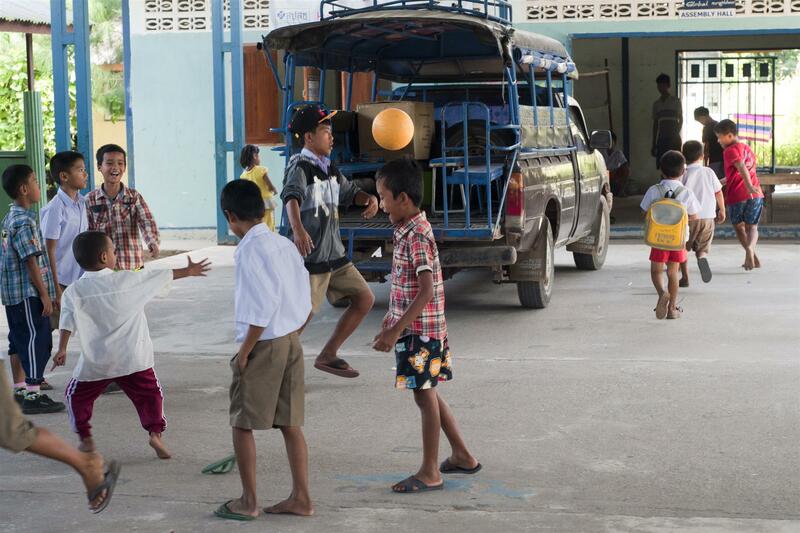 Several balls have been distributed to the migrant learning centers along the Thai / Myanmar border. These schools are desperately poor; they are not eligible for any government funding and survive from year to year on contributions. Occasionally our members will take OWPP balls to areas we do not normally serve. Such is the case with PP Joe Evans who supports poor schools in the North East. The Future: Our hope is to be able to facilitate the giving of OWPP balls to as many poor schools as possible. We would do this mostly through our network of other Rotary Clubs.